For those ballin’ on a budget in America’s capital, look no further. Whether you’re traveling on the cheap or need to supplement DC’s high cost of living with free activities, we’ve got you covered with the ultimate list of free things to do. We made sure to include some notable gems, like the National Museum of African American History and Culture and the Arboretum, while also keeping things interesting with gin bottling and steps infamously used in The Exorcist. In sum, these activities will cost you exactly zero dollars. Let's get started. Break an early morning sweat with Lincoln every Wednesday morning. The November Project, a free, open-to-the-public exercise group, brings people together across the city three mornings a week. Take the "Netflix and chill" outdoors with one of the many summer and early fall movie screenings across the DMV. Just lay down a blanket, bring a picnic, and pack the bug spray just in case. Art galleries open their doors (and wine bottles) at First Fridays in Dupont. Get connected to DC’s art scene with this monthly art walk (or crawl) along the galleries of R Street and Connecticut Avenue. Some bets don’t need to involve money. Each Cinco de Mayo, more than 90 chihuahuas race each other for their claim to fame at the Wharf. There's typically also a pet costume contest and other activities involved. When you have more time than money, put it to use by volunteering at philanthropic organizations like So Others Might Eat. 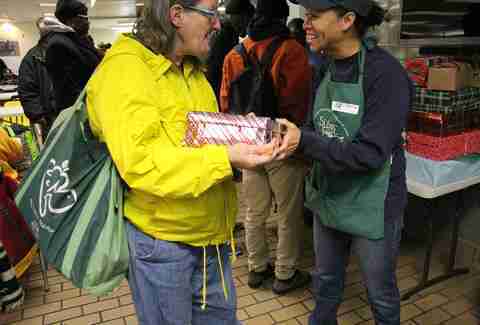 This DC soup kitchen and shelter warmly welcomes new volunteers to sign up online. Feel free to lose yourself in the 446 acres of the U.S. National Arboretum. Explore the gardens, forests, and grounds 364 days a year (closed on Christmas) by foot or bike. Don’t miss the National Bonsai exhibit. Want to feel the beat of DC? Join the drum circle every Sunday at 3pm at the top of the fountain. This popular event is a local favorite for people watching, dancing, and feeling part of the Washington community. Knowledge Commons DC, a volunteer-run floating school, hosts free and inexpensive classes on practically anything and everything. From drawing to lock picking to real estate, the subject matter could tickle anyone’s fancy. The best way to kick off any Nats game is at the Bullpen. 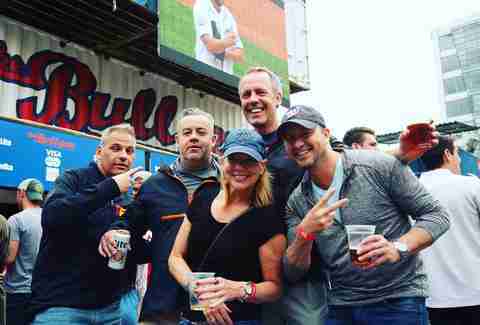 Pregame the pregame to avoid paying for overpriced drinks and fraternize with fellow lushes all the while celebrating America’s favorite pastime. Looking for a “low-intensity workout”? Need to catch a friend up on the intricacies of your Tinder romance? Grab that pal and dive in that heartbreak along the 184.5 miles of the C&O, aka "the Grand Old Ditch," that starts in Georgetown and ends in Cumberland, MD. 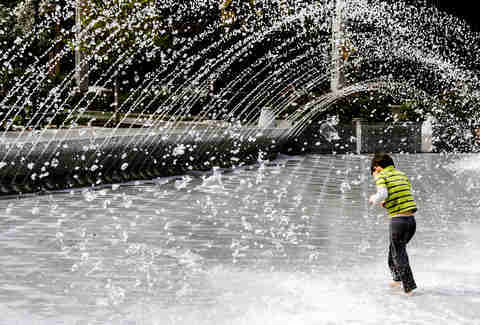 There’s no better way to spend Summer Fridays than at the National Sculpture Garden with a sangria pitcher in hand. While alcohol and food will cost you, the live music and good vibes are free. Don’t forget your picnic blanket. A bottling party should be a DC right of passage IMHO. 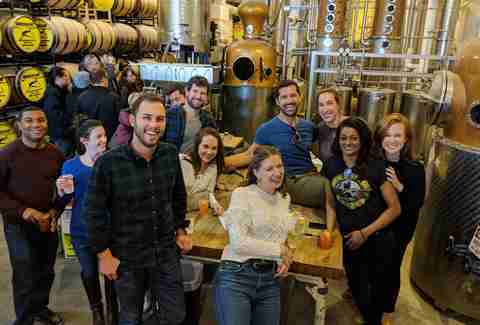 Sign up for Green Hat Gin’s newsletter to learn about upcoming bottling parties. If your witty email wins you a spot, you can look forward to a few hours learning how Green Hat bottles, labels, and packages their gin. Be sure to eat a hearty meal beforehand as gin drinks will be served as payment for your labors throughout the session. Each party ends with a tasting of Green Hat’s finest gin. Looking to pick up some top secret military tips? Good luck, but if you’re interested in seeing the headquarters of our America’s Department of Defense and our armed services, take the trip to the Pentagon for an hour-long tour. Tours are publicly available by request only, and there's no public parking, so public transit's the best move, but the tours are free. Witness our country’s top notch musical talent perform on the Kennedy Center’s Millennium Stage, which offers free shows just about every single day at 6pm. Recent and upcoming performances have included a Paraguayan harpist, a dance troupe from the Amazonas region of Brazil, and singer-songwriters. Venture to Arlington to access this Potomac island and walk its 1 1/2-mile trail. If you have a furry four-legged friend, they’re welcome to accompany you on a leash. Get your Michelangelo on and take a free sketching class at the American Art Museum. Classes are held every Tuesday at 2:30pm and drawing materials are provided. No experience or reservations necessary. 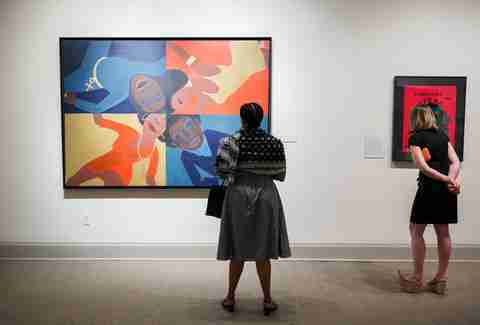 On the first Sunday of every month, admission is free at the National Museum of Women in the Arts. Get inspired and cultured by the likes of Frida Kahlo and Georgia O’Keeffe and take advantage of the museum's event schedule. For my fellow millennials who choose plants over pets so we can take spontaneous trips to Washington, D.C., check out the U.S. Botanic Gardens for a “world of plants and environments” or at the very least, terrific Instagram opportunities. If you’re lucky enough to visit while the corpse flower’s in bloom, you’ll have the pleasure of knowing what rotten flesh smells like. Plan your trip accordingly. Each Saturday and Sunday hundreds of artists and vendors set up shop outside of Eastern Market with a variety of goods from homemade soaps to artisanal olive oil. Food samples are in abundance. On the corner of Prospect Street NW and 36th Street NW is the famous staircase in which Father Damien Karras tumbles to his death in the 1973 horror film. Georgetown students regularly use the steep staircase for exercise but it’s still worth a visit. The staircase may also be accessed where M Street NW meets Canal Road NW. 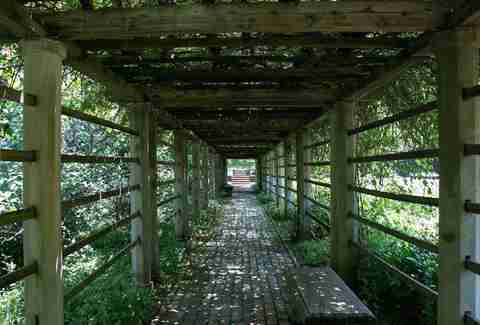 For some uninterrupted tranquility, get lost at the garden in Dumbarton Oaks. Located in Georgetown, this estate’s grounds feature some of the perfect spots to curl up with a good read. Grab a book and find a bench for a peaceful afternoon. The District is owed some credit for the richness of its street art scene. Every day new murals are popping up around the city, especially around the U Street NW area. Take yourself on a self-guided mural walk to check out some of the city’s coolest pieces, including classics like "The Watcher," the "Martin Luther King Jr. Memorial Mural," and a tribute to Marilyn Monroe. This trail is more of a hike than a glorified walk in the woods so wear appropriate shoes and bring a water bottle. There are three different sections to the trail: A, B, and C. Check out the park’s website to find one suitable to your skill level and preference. Pro tip: Pack a snack. There’s nothing quite like cherry blossom season when trees across the city bloom flowers. 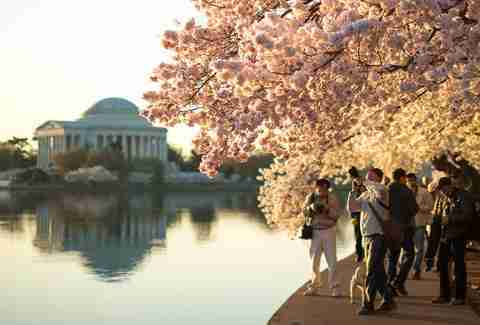 The OG cherry blossoms were a gift from Japan more than a century ago and can be found around the tidal basin near the Jefferson Memorial. Peak bloom is nearly impossible to predict so keep tabs on the local news and weather conditions towards the end of winter. I’d be remiss if I didn’t mention visiting the monuments but switch it up by going at night. Nothing beats a clear, crisp night and the view of the Washington Monument, the reflection pool, and a big moon from the steps of the Lincoln Memorial. Soak in some culture each May as embassies open their doors to the general public. Lines can get pretty long but the treats inside make the wait more than worth it. Sample countries’ most cherished foods, alcohol, arts, and entertainment. One of the best things about DC is that it hosts people from all walks of life, and Dupont Circle is the best place to witness our great diversity. Take a seat and spend some time people watching. The farmers market is worth a visit, too. Just down the block from the Oval Office, Renwick Gallery features some of DC’s most instagrammable art installlations. The exhibits (previous exhibit "Wonder" and current exhibit "No Spectators: The Art of Burning Man") are stimulating enough to excite those who generally avoid museums at all costs. 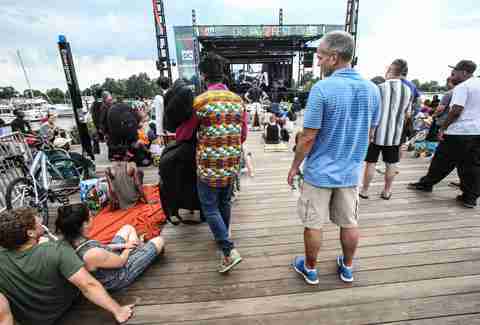 Every June, the DC Jazz Festival celebrates the great history of the District’s jazz culture. Admission to dozens of performances are free so mark your calendar for 2019. When was the last time you flew a kite? Each year, thousands of kites are flown at the Blossom Kite Festival in late March. Get in on some innocent fun and make your own kite with some youngsters and then send it up in the air. Next year’s festival will be on March 30, 2019. With the addition of rooftop bars, the Wharf popped off in summer 2018 but its true value is tested in the colder months. DC’s newest hot spot makes for a great winter date. Roast marshmallows over the fire or try a game of curling. This cemetery is another staple DC must-see. You can visit any day to honor fallen loved ones and those who served in battle. The coolest opportunity to visit is by volunteering on National Wreaths Across America Day to assist in laying wreaths. 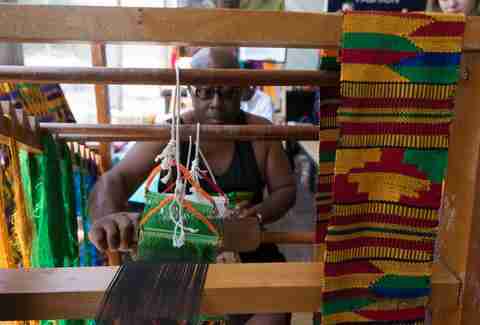 Every summer the Smithsonian Folklife Festival celebrates cultures from around the world on the National Mall. 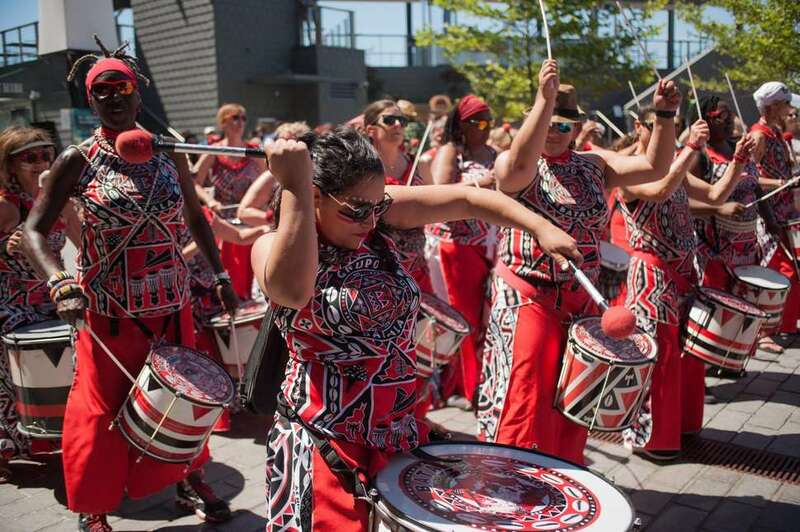 The festival gives tourists and locals dozens of opportunities to immerse themselves in free workshops, art classes, dance classes, poetry readings, and more. Visit the new National Museum of African American History and Culture to stretch your understanding of what it means and meant to be African-American in the United States. Since opening in 2016, it's widely been hailed as one of the best museums in the Smithsonian. Bring a blanket and take a siesta or invite some friends for a picnic. There’s enough green space to do as you wish. The park itself features rowing regattas and outdoor movie screenings that are free to attend. The area’s oldest national park boasts 32 miles of trails. Set up shop by the creek if you’re looking for some relaxing background noise or hike on up to the stables to see the horses. Check out the Rock Creek Park Planetarium for some stargazing. During the summer months, a slew of free fitness classes are offered in the square by popular, local studios. For a calendar and registration, visit their website. For a thrilling mini-adventure, lay down in the grass at Gravelly Point Park and feel the rumble of jet engines as they land at Ronald Reagan Airport. Toss this into your date idea lineup and bring a bottle of wine and a blanket. Kaley is a DC-based freelance writer and a renewable energy analyst who’s always thinking about her next meal. Follow her at @kaleylockwood.